The same man is later filmed apparently cutting the boy’s head off. 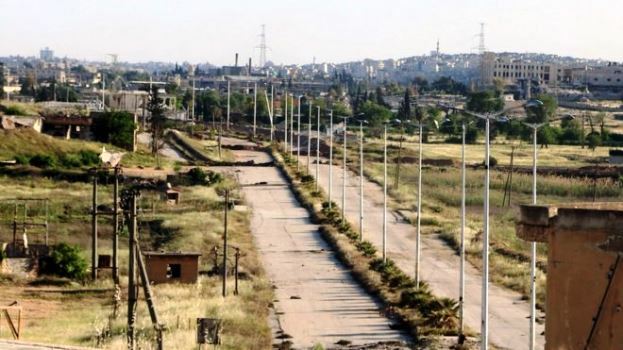 The incident is reported to have taken place in Handarat, north of Aleppo, where there has been heavy fighting. The area is the location of the unofficial Palestinian refugee camp of Ein El Tal, which was home to some 7,000 people before they were displaced by armed groups in 2013.